I recently started adding this table to presentations about the Delta tunnels. It generated a lot of comments, so I will add it to the blog. 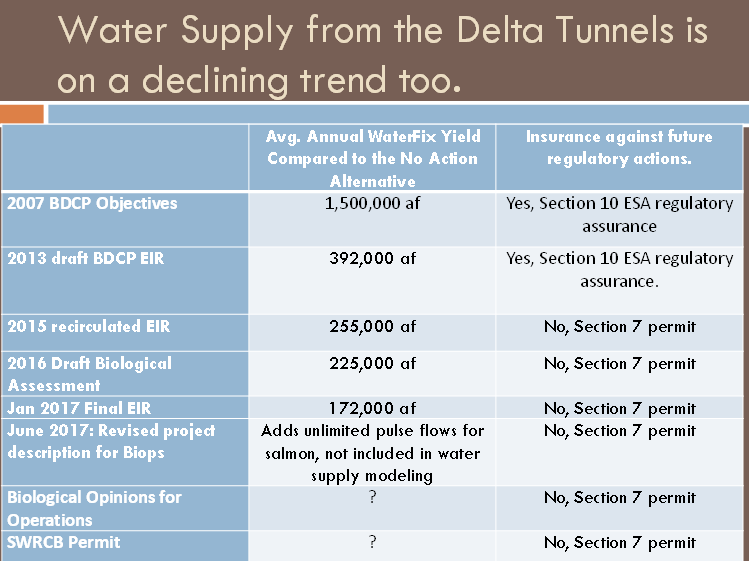 Water agencies promoting the Delta tunnels say they are worth investing in because of the downward trend in water exports from the Delta under the current system, and the prospect of additional regulation if the Delta environment and fish species' continue to deteriorate. The implication is that the WaterFix will stop the decline, but is that justified? The table above was compiled directly from the BDCP/WaterFix documents over the years. It's clear that the water supply from the tunnels is also on a declining trend, there are more regulations still to come, and there is no protection from future regulations under a Section 7 permit. In addition, the biological opinions found that endangered and threatened fish species fare worse with the tunnels than under a No Action alternative. Since it is the decline of fish populations that is triggering increased regulations, there isn't a strong reason to believe that additional regulations are less likely with WaterFix than without. Can $3 per month really pay for the Delta Tunnels? Metropolitan Water District and the LA Department of Water and Power have recently released reports saying the Delta tunnels are affordable because they will only cost the average household about $3 per month. And they have white papers to back it up. Rather than check the math in those white papers line by line, I suggest taking a step back to see if it adds up. Assuming no cost overruns, estimates for the annual debt service and operations of the tunnels are between $1 billion to $1.5 billion per year depending on financial assumptions. $3 per month ($36 per year) multiplied by 7 to 8 million households in areas served by the tunnels results in $250 to $300 million per year in revenue. That's about 25% of the estimated cost. So who is paying the other 75%? It appears that these white papers are still assuming 2/3 of it will be paid by farmers and wildlife refuges. About 10% is assumed to be paid by businesses like shopping centers (most of which ultimately comes back to households through higher prices or lower incomes). Until there is a complete financial plan and cost allocation that includes clear explanations of critical issues such as who pays cost overruns, what happens when entities opt out or default, and what sort of reserves are needed to cover payments during droughts - it will be impossible to say what the average household will pay. For now, I am standing by my old prediction that urban households will end up paying about 90% of the cost through a combination of water bills, property taxes, and other forms of indirect subsidy. If interest rates stay low and current cost estimates are accurate, it could still exceed $100 per year. How much should it cost to build affordable apartments in downtown Stockton? There is no disputing that there is an affordable housing crisis in California, and finding more funds to subsidize affordable housing development will be a major focus of the state legislature this fall. However, Governor Brown has been hesitant to support more funding for existing affordable housing programs until something is done to bring down the costs of these developments. He is right to be concerned, the cost of developing income restricted rental units is significantly higher than the cost of building market rate housing. It's an issue that is starting to get scrutinized on a national level, but like most things housing, the issue is on another level in California. This weekend, the Stockton Record ran a story about a $30 million proposal to build 62 affordable units on Miner Avenue in downtown Stockton. That's $483,000 per apartment, although the proposal includes 11,000 square feet of retail, so the apartment costs are probably closer to $400,000 per unit. For comparison, you can buy a brand new single family home in Stockton right now for under $350,000. To be fair, the cost of this Stockton affordable housing proposal is not unusual, and I am happy to see Cort and Ornellas' efforts to expand housing in downtown Stockton. In fact, just before this article ran in the Record, I had written half this blog post inspired by a similarly costly proposal in downtown Roseville. Part of the problem is that the government subsidizes most affordable housing projects with tax credits that must be packaged and resold to private investors. This is a very costly way for the government to provide capital to these projects. A recent investigative story on NPR's Frontline describes why this system can be expensive, and how this system of finance is failing to build enough housing from a national perspective. While much of the focus in California has been on reducing regulations to lower development cost for affordable housing, I think the approach to finance should also be reconsidered. I suspect there is much more to this story, and I wish I had more time to focus more deeply on these housing supply issues. I know there are good people working on innovative approaches to reduce costs and expand supply. 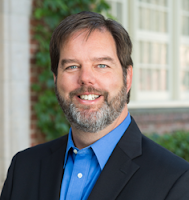 In fact, I recently learned that Stockton's David Garcia will be working with the Terner Center for Housing Innovation at UC-Berkeley which has assembled an interesting team and portfolio of projects. Until these development costs can be dramatically reduced, affordable housing advocates shouldn't overlook the option of expanding rent vouchers as an alternative to developing new affordable housing. Most people I have discussed this issue with recently have pointed first to prevailing wage requirements as the biggest cost driver, an important issue I somehow overlooked in the discussion above. This article in the LA Times discusses the issue and has links to several studies of the topic. Over the past decade, I have sometimes heard the PPIC/Davis water group described as "useful fools", who unwittingly support the further environmental demise of the Delta. This week, a pair of prominent UC-Davis biologists gave the Delta tunnels (aka WaterFix) a qualified endorsement . Their timing, reasoning rationalization and subsequent reaction from the WaterFix public relations machine reminded me of this political phrase. 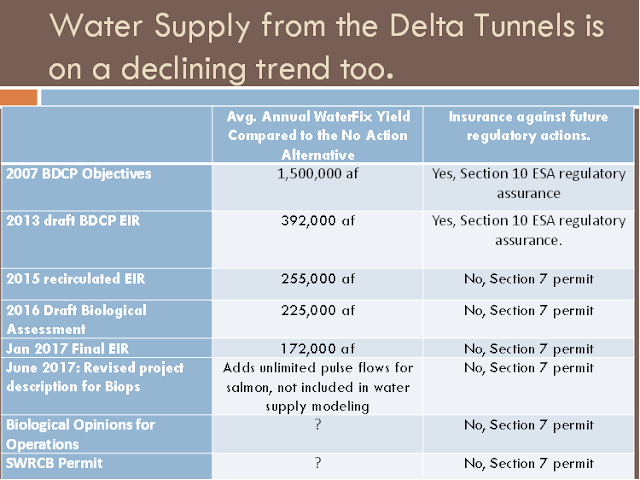 For the past few weeks, the WaterFix discussion has been dominated by discussions of whether the Delta tunnels are worth $16+ billion to water agencies. In making their economic/financial case, water agency staff have consistently maintained that if we don't build the WaterFix, water exports from the delta will be slashed to 3.5 - 3.9 million acre feet annually, which is essentially cutting exports back to pre-1980 levels. Predictably, the WaterFix public relations machine quickly sent out a news release touting the "optimistic assessment" of these UC-Davis scientists. It doesn't matter that the argument completely contradicts their economic argument for WaterFix or that their endorsement is qualified with conditions that are inconsistent with the WaterFix project description (see the drought operations in detailed project description). This episode, like so many other with WaterFix, underscores the need for a feasibility study in which economic, environmental, and technical feasibility are simultaneously evaluated under a common set of assumptions. Feasibility studies are commonly conducted and often required for water infrastructure projects, but one does not exist for WaterFix, despite the tens of thousands of pages of reports. WaterFix booster to ratepayers: "Support WaterFix, because without it water exports will be cut to pre-1980 levels." WaterFix booster to biologist/environmentalists: "Support WaterFix, because there is no way that water exports will be cut to pre-1980 levels." The most irksome element of the Moyle/Hobbs post is their dismissal of the best alternative for the environment. Clearly, the political screaming about the delta smelt has influenced them. They invalidly link Ecorestore to the Waterfix, ignoring the fact that Ecorestore can and will go forward without the WaterFix. In fact, it might even be more likely if the tunnels aren't consuming so many financial resources. They dismiss the "status quo" without mention that the biological assessments of the WaterFix find that it is worse for fish the status quo, and that "status quo" leaves water agencies with $16+ billion to advance their water supply goals in other ways. Their surface-level discussion of the levee collapse scenario only links a 2007 discussion of the topic - ignoring that a decade of research and experience since then has shown that the scenario is a) less likely, b) would cause a shorter water outage, and c) that levees have improved/not deteriorated and could be further improved to protect against this scenario. It views Delta options from the narrow Delta fish vs. water exports perspective. I might give biologists a pass on this if their argument was not so heavily based on the scenario of a levee collapse that could kill hundreds of people and have broad economic and environmental consequences that dwarf the interruption of water exports and an emergency freshwater pathway. I am really surprised to see this callous approach in the wake of the Oroville crisis that caused tens of thousands to flee for their lives. Despite these many flaws, there is one piece of information of value in this post from prominent fish biologists. They conclude that option #3 is clearly better for fish than the WaterFix. That is very valuable information, and it should be noted, it also contradicts the arguments made by proponents of the WaterFix. I am leaving for the airport in 30 minutes, but judging from my Inbox, there is a high demand for a reaction to Metropolitan Water District's recently posted white paper on financing and ratepayer costs of the Delta Tunnels. 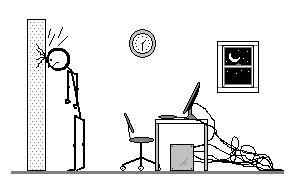 Here is my reaction after an initial review. All the calculations and modeling in the paper relies on 3 huge assumptions which are almost certainly false. It assumes farmers (and wildlife refuges) pay the vast majority (approximately 2/3) of the estimated $17 billion cost. Multiple analysis and statements by various potential participants have shown this is unlikely. Drop this assumption, and Met's cost share could triple. Cost comparisons are based on an assumed average annual yield (incremental increase in water supply) of 1.3 million acre feet per year. This is a wildly optimistic estimate. The WaterFix official documents (permit application) is based on an annual average yield of 225,000 acre feet. Using more realistic and correct yield estimates increases the incremental cost of the project by a factor of 6. (This issue is a bit wonky and I will have a future post that tries to simplify the issue and explain why it is more than an academic debate that could come back and bite water agencies and ratepayers.) At minimum, board members should demand/expect to be shown cost comparisons over a range of plausible project yields - not just the base scenario. The paper describes a host of critical financing issues as still "under negotiation" or being developed. Agencies have been working on these issues for years and still have not come to a resolution. The paper assumes all these issues will be handled in way that is satisfactory to the board. Ratepayers, taxpayers and board members should be very uneasy about the way these issues are being deferred to the future. One of the key issues where all 3 of these bullet points interact is what happens if (when) some agencies choose not to participate. The white paper hints (and I have heard a few water agency board members suggest this too) that it could be a good business opportunity because they can pick up extra water from the non-participants. Not so fast, there are a lot of downsides and risk here. For one, how will they determine the water supply the non-participants receive? They will not be using the no-tunnel baseline that results in the 1.3 maf yield calculation, thus handing over their water allocation to MWD. They will use the baseline in the official permit applications (with good justification), and this is just one of the ways where the rosy projection of 1.3 maf of water yield made by MWD staff could disapear. Costs for the Contra Costa Water District settlement and new tidal marsh from the Biops do not appear to be included. The other big projects from the past in the comparison chart are all urban projects. None of them were counting on farmers and wildlife refuges to pay 2/3 of the cost. Few details included about how this JPA issuing bonds will work, and how the 45% CVP share will be paid directly? If MWD does pick up transferred shares from others - how will those be paid? Will MWD have to guarantee to accept transfer or purchase of unwanted allocations in order to finance the project? How will cost overruns be handled? Most businesses are owned by local people, so the non-residential costs fall on them too. What about comparing the cost of tunnel water to conservation/efficiency, stormwater capture, and other more cost-effective options. Off to airport security. Fortunately, I understand the MWD board won't be voting on this until late September so there will be time to ask and hopefully receive better answers to these questions than the white paper provides. This document surely doesn't provide the information that is required to make a public policy decision of this consequence. Two major water infrastructure policy processes are moving towards critical decision points that will determine their financial viability: a) the WaterFix (Delta Tunnels) led by the Department of Water Resources (DWR) and b) $2.7 billion in Proposition 1 (Water Bond) funding towards public benefits from new storage administered by the California Water Commission. One of these processes (Prop 1, California Water Commission or CWC) is treating economics seriously in the planning process, while the other (WaterFix) has not. Sadly, there is a lot more money and environmental risk associated with the tunnels project that has been ignoring and/or suppressing economic analysis of the project. Recently, I was reviewing the California Water Commission's guidelines for valuing ecosystem impacts from new storage projects for the purposes of awarding Proposition 1 funds. It led me to ponder what would happen if WaterFix followed the California Water Commission's guidelines for benefit-cost, including valuing ecosystem impacts, and had to compete for funding like these storage projects. I believe the results would be similarly ugly for WaterFix as the benefit-cost analysis I did in 2016. Using the CWC guidelines, the value of water would be higher than I used (especially after SGMA is implemented), but the yield would remain a meager 225,000 acre feet per year. However, the increase in benefits from higher value water would be offset by a host of environmental costs that I did not include in the 2016 analysis. For example, the CWC gives explicit guidance on how to value changes in endangered and threatened salmon populations estimated with a life-cycle model, and the biological assessment for the WaterFix gives clear results of this type of assessment for winter-run chinook salmon. Applying the values and procedures from the CWC guidelines to the WaterFix results in a $58 million annual loss from the damage of the WaterFix to winter-run chinook salmon. Extended over 100 year life of the project (beginning 2031) with a 3.5% discount rate, it is a nearly $1 billion social cost from the tunnels. The $1 billion cost is just for winter-run chinook from operations. Thus, it does not include costs to winter-run chinook from construction or consider impacts from both operations and construction on spring-run or fall-run salmon, steelhead or delta smelt. It would take more work (and help from biologists) to estimate values for these, but is not hard to see this adding up to a cost of several billion dollars from the WaterFix tunnels. The applications for Prop. 1 storage money are due in a few days. It will be really interesting to see how the different applications apply these guidelines to value the public benefits, as well as the overall feasibility and benefit-cost for the storage projects. Then it will be really interesting to see how the CWC evaluates these applications. That will be the real test of the extent to which economics and science or politics is allocating the funds. It's inexcusable that the WaterFix tunnels, despite 11 years and hundreds of millions in planning, hasn't produced any feasibility or economic analysis comparable to what these storage projects are required to do.